A chunky, mature tree with spreading crown of foliage, defined branches and curving movement in the trunk. These are well established trees in excess of 15 years old. 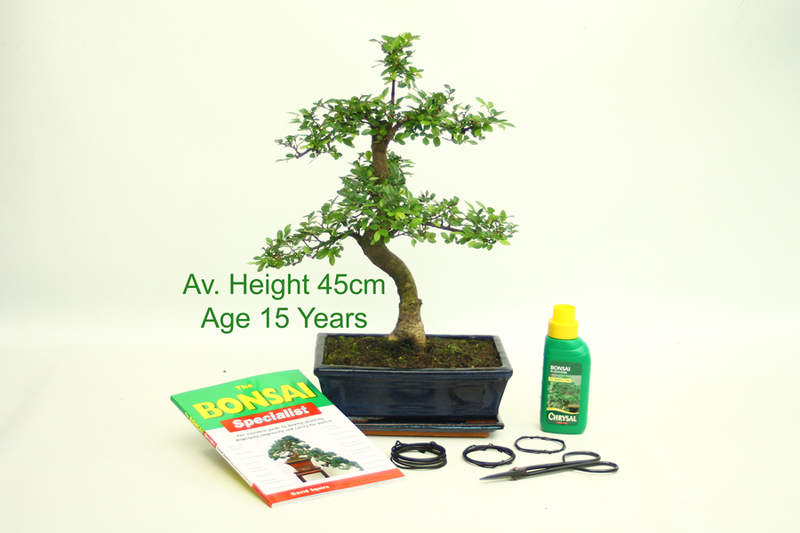 The bonsai you will receive will have a total height (tree & pot) of approximately 45cm.